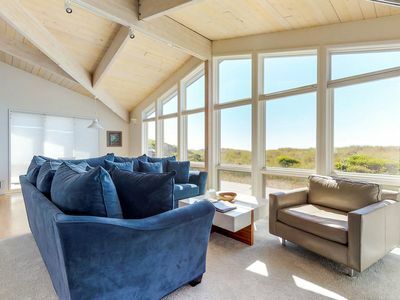 The Shell Haven is a 3100 square foot, beautifully constructed, with ever-changing peeks of the ocean and bay, home with easy beach access. 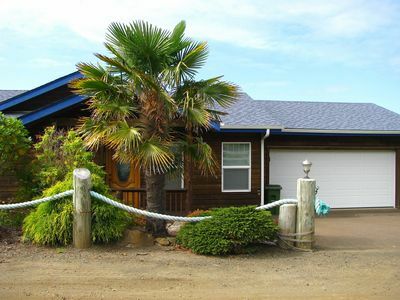 All three levels in this home offer privacy and plenty of space for the entire family. 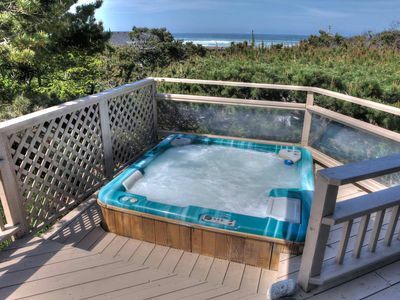 The two downstairs bedrooms have queen beds and private bathrooms, and a third bathroom is located on the main floor. 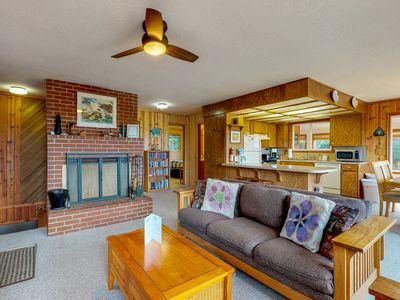 The main floor has an open floor plan - perfect for mingling while you cook or watch TV together. 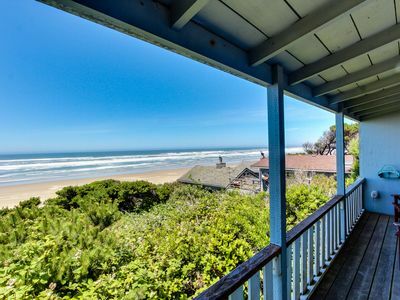 The upstairs loft has a queen sleeper sofa, a full/twin bunk bed, and a lovely ever-changing ocean bay view. 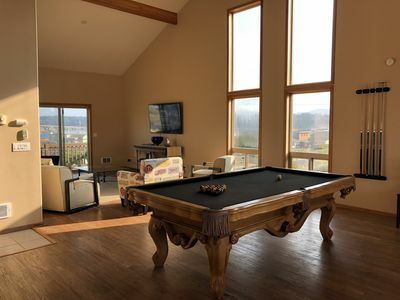 Enjoy the wide deck for your family gatherings, or head up to the 3rd floor for a bit of quiet relaxation on the upstairs balcony. 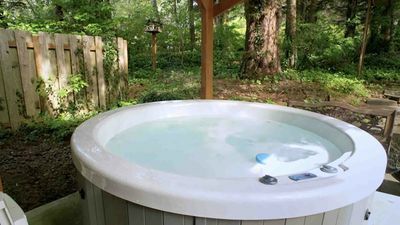 Soak away your troubles in the backyard hot tub, which is surrounded by trees. 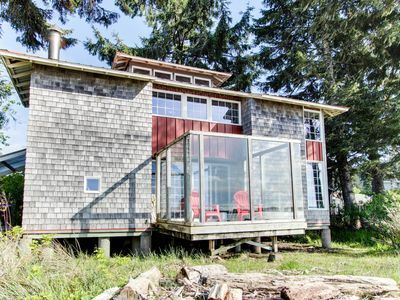 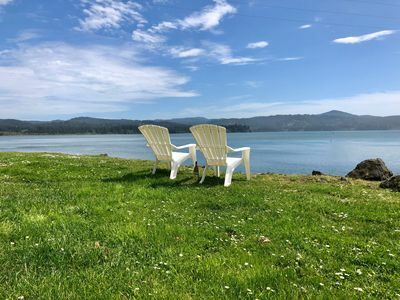 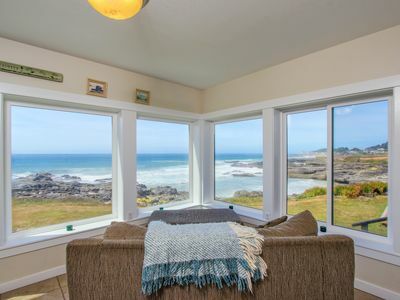 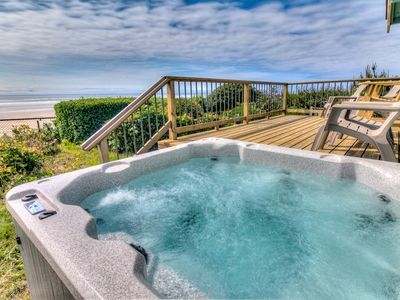 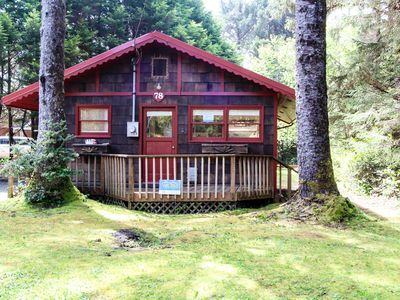 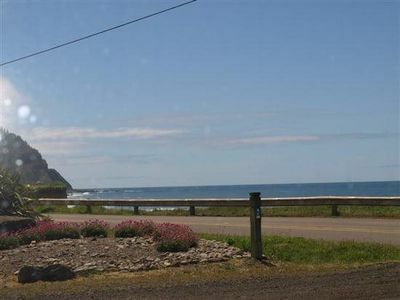 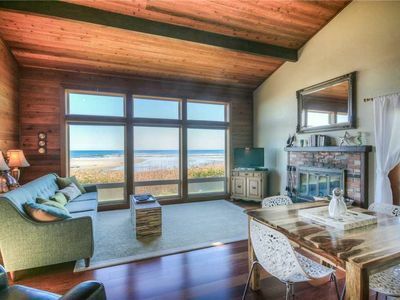 ​​​​​​​Located on the south side of Yachats, this home is nestled on Shell Street, just beside Yachats Ocean Road State Park and the Yachats Wayside, where the road makes a one-mile loop, exposing one of the most scenic viewpoints on the coast: the Yachats Bay and the Pacific Ocean. 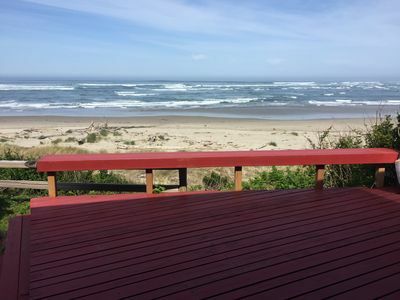 Walk along a trail that gently winds around the Yachats Bay, where the river meets the sea. 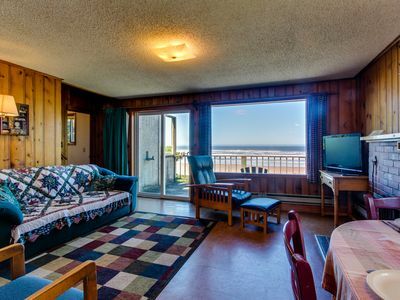 Enjoy access to the beach, tide pools, blowholes, summer sunsets, stormy drama, and whale watching. 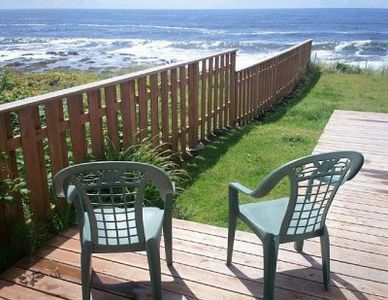 Enjoy a spectacular night time view of Yachats! 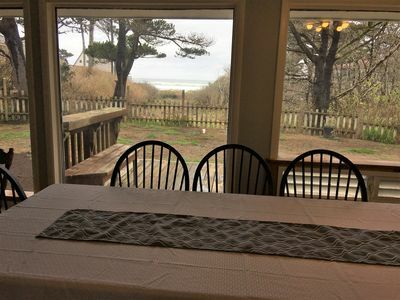 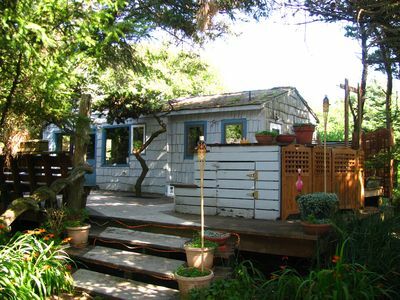 Quiet oceanfront getaway w/ocean views, walk to beach - dogs ok! 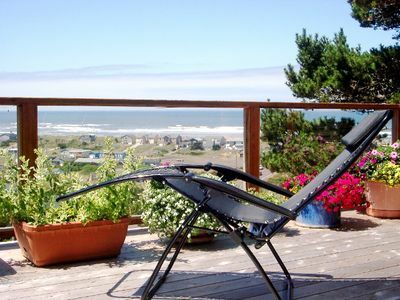 Watch beautiful sunsets right from the deck or while relaxing inside. 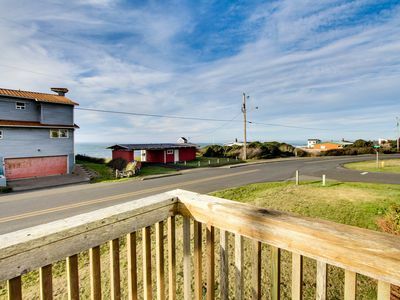 Beautiful Oceanfront Home with Beach access, Pet Friendly & Ping Pong Table!